It’s 4:30 in the morning and the need to be on the trail early is critical. 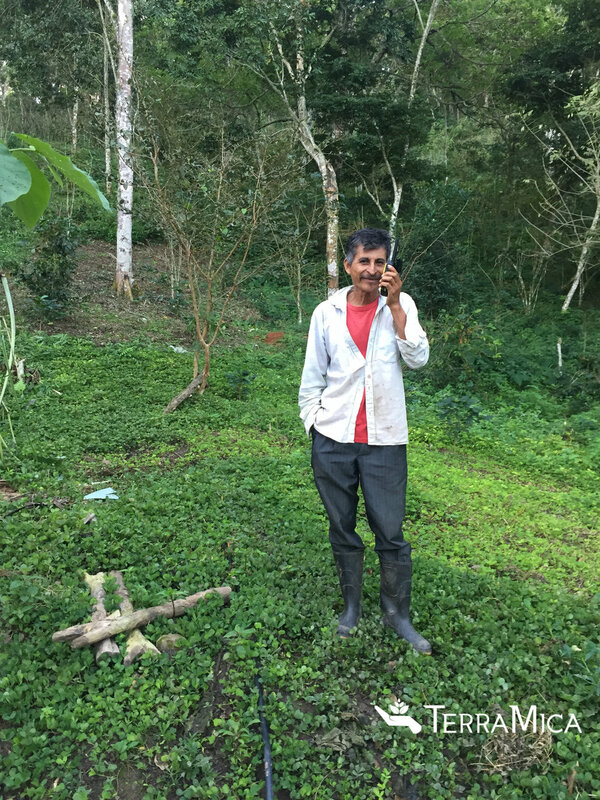 In the mountains of southern Mexico, coffee farmers eke out an existence in tree covered steep terrain. From his adobe walled home, it’s an hour hike for the farmer to arrive at his farm plot, as he moves through snake infested brush, over incredibly steep hills, pushing through the dense vegetation and trees. It’s there that the real work begins. Clearing land for new coffee trees and sustenance crops of corn and beans, hauling the cut wood on his back down the hills for other uses, then the cycle repeats, and it’s loading fertilizer, seedlings, and farm tools on his back and heading up again. When harvest season arrives, it is a joyful celebration of all that God and the land have given back to the farmer for his hard work. He spends hours pruning, harvesting, and hauling crops back down the mountain to his home, and later for processing and market. It is grueling work, but these farmers don’t complain. They work to provide for their families, and they are grateful to have land to farm, grateful that God provides the sun and rain for the crops. Most small plot farming families do all of this work on their own, packing supplies on their backs as they travel up the mountain, then packing harvested coffee cherries (which weight in easily at 100 lbs.) on their shoulders for the journey back down. Few have the privilege of owning a burro, a mule, or a horse to carry them on their way, to bear the burden of crops and supplies and thus sparing the farmer. No greater provision can be given to a farmer than an animal who can provide for faster traveling to and from farm plots, and greater capacity for packing supplies and crops in and out. Ladisloa and his son packing up their new horse for the day's work. TerraMica’s Patrick Aguirre visited Ladislao’s farm to present our gift of two horses recently. No sweeter moment than to see the joy on our friend’s face! Knowing that his workload would be dramatically decreased as his effectiveness and productivity more than double with each horse, he was overjoyed. He is a conscientious and devoted farmer, a man of faith, always working hard. His love for land and farming is evident in the tender care he gives his crops. 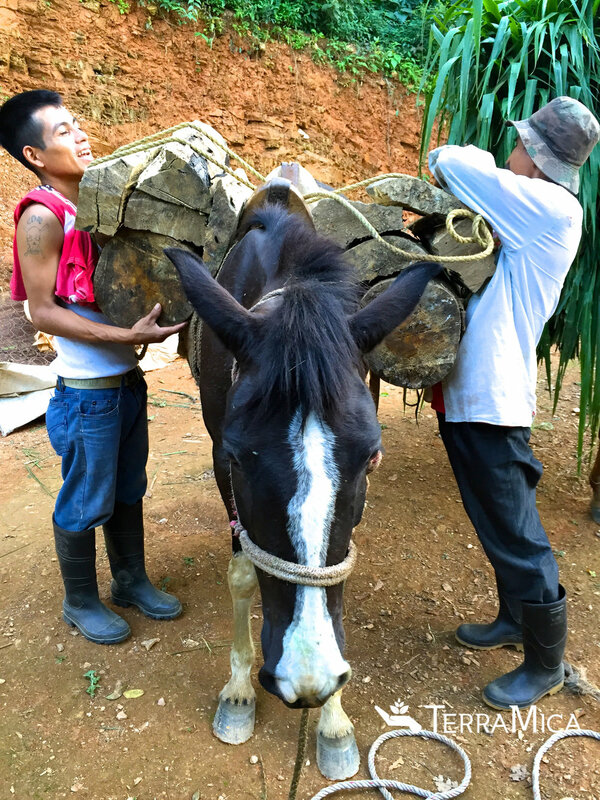 With these two horses, Ladislao and his family will gain more than two horses – they gain empowerment, productivity, and increased hope. TerraMica is passionate about improving the quality of life for farming families in remote regions, providing hope for their future, and investing in them personally. We believe that by helping these families become more productive and effective, we are helping to drive down rates of rural poverty and hunger. When there is hope on the family farm, the family is more focused on working it together for the generations to come and to staying together, rather than leaving the family to find work elsewhere.